For teenagers, physical appearance is a big part of one’s identity. Having a positive self-image can help a teen deal with the many challenges that come with growing into adulthood. Because one of the first things people notice about us is our smile, it makes sense for teens to consider the aesthetic as well as the practical aspects of their dental care. At the Michael Bixby Center for Advanced Dentistry in Red Bank, New Jersey, we help teenaged patients achieve their ideal smiles through the use of cutting-edge procedures and dental products. Here are some of the most common dental treatments for teens, including whitening, orthodontics, and sports mouthwear. Teeth Whitening: A brilliant, white smile is associated with confidence, beauty, and health. Unfortunately, teen diets often include several harsh foods and drinks that can discolor teeth, including coffee and tea. We offer safe and convenient in-office and at-home options that can drastically brighten the appearance of your smile. Tooth-Colored Fillings: Cavities aren’t just for little kids. Teens often consume large amounts of sugary foods, soda, or energy drinks, putting them at risk for tooth decay and gum disease. As an expert in cosmetic dentistry, Dr. Bixby offers BPA-free composite fillings, also known as white or tooth-colored fillings. These types of fillings are virtually unnoticeable to others and believed to be safer than traditional metal fillings. Orthodontics with Invisalign®: A popular alternative to traditional braces, Invisalign® can be used by both teens and adults to straighten their smiles and improve their overall oral health. The treatment is more comfortable and convenient than traditional braces, with the same dazzling, lifelong results. Dental Bonding: Minor cosmetic changes can be made with dental bonding, such as repairing chips or closing small gaps, especially on the front teeth. This cosmetic treatment is a good option for teens because it is natural-looking and affordable. Porcelain Veneers: Veneers are thin pieces of ceramic that are adhered to the front of the teeth to create a flawless smile. Porcelain veneers can cover up cracks, stains, crowding, or uneven spacing. They can also be used to enhance the shape of the teeth, making them more proportionate for your smile and face. Porcelain Crowns: When the extent of decay or damage cannot be repaired with a filling, you may need a dental crown. A crown is a custom-made “cap” that covers the entire tooth to provide strength and durability in areas affected by severe damage or decay. At our office, we use modern dental porcelain that can be sculpted to closely resemble your natural tooth and blend in seamlessly with your smile. Root Canal Therapy: Sometimes, teens will ignore a deep cavity or a cracked or broken tooth. Unfortunately, without treatment, those conditions can lead to inflamed and infected blood vessels, nerves, and tissue inside the tooth. Root canal therapy can repair this damage by cleaning and sealing the infected tooth. Mouth Guard: Teenagers are often involved in school and community sports, but many don’t have the appropriate protective mouth guard.The PX3 Mouthwear is a custom-fit oral appliance designed to protect the mouth from traumatic injury while also improving the function and position of the jaw. Dr. Bixby is proud to be one of only three New Jersey dentists to offer this sophisticated type of mouthwear. 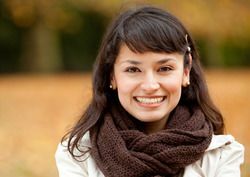 The health of your adult smile starts in your teen years. We invite you to schedule a consultation with Dr. Bixby to discuss these treatments and other health care concerns specific to teenagers. We will recommend the appropriate treatments to obtain a beautiful smile and ensure a lifetime of healthy habits.